The Supreme Court, overruling its earlier decision, has held that a person who shares an encroached property by residing there and there is continuance; he/she has to be treated as disqualified from being a Member of Panchayat. 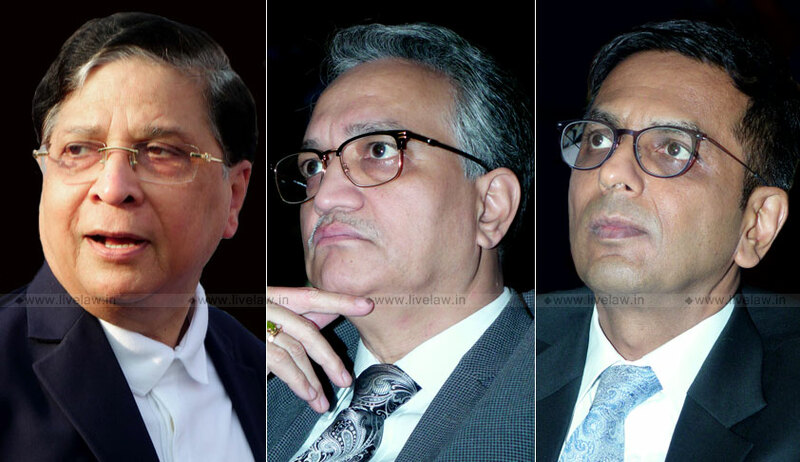 Three-Judge Bench comprising of Chief Justice Dipak Misra, Justice AM Khanwilkar and Justice DY Chandrachud in Janabai vs. Additional Commissioner overruled two-judge bench decision in Sagar Pandurang Dhundare v. Keshav Aaba Patil. Janabai, who was elected as a member of Panchayat was disqualifying for continuing as a member of the Gram Panchayat) on the ground that there has been an encroachment upon the government land since 1981 by her father-in-law and husband and she is using the said land. The High court had also upheld the disqualification. Before the Apex court, these orders were assailed, placing reliance on Sagar Pandurang Dhundare Judgment. In November 2017, the two-judge bench headed by Justice Kurian Joseph had observed that only the original encroacher, who has encroached upon the government land or public property, is liable to be disqualified, and not his family member. Read the Live Law report on that judgment here. The bench noted that, in Sagar Pandurang Dhundare, the two-judge bench had referred to various Bombay High court judgments on this issue. In this judgment, the bench reproduces passages from those judgments and particularly notes decision of a division bench of Bombay High court in Devidas Surwade v. Commissioner, Amravati. It also noted that this decision was followed by another bench of Bombay High court in Parvatabai v. Commissioner, the SLP against which was dismissed by the Apex court in January 2016. Referring to Sections 10, 11 and 53 of the Act, the bench upheld the view expressed by Bombay High court in Devidas Surwade and observed that the Members elected in Panchayat are duty bound to see to it that the obstruction or encroachment upon any land, which is not a private property but Government land or a public property, should be removed and prosecution should be levied against the person creating such obstruction or encroachment.